This light lunch recipe could not be easier and is perfect for lunch at home or at work. 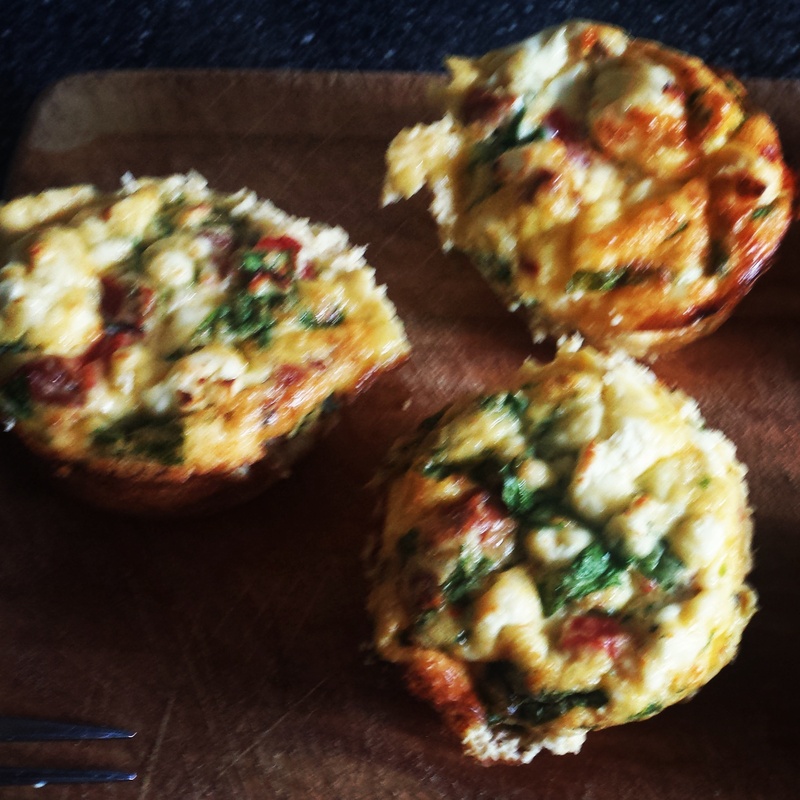 It’s time to spice up your lunch box and be the envy of your colleagues with these mini frittatas! An ideal recipe to involve the kids so they can show off their creations with their friends. 1. Heat the oven to 180c/ 160 fan/ gas mark 4. Take a large bowl and crack the eggs into it. Be careful of any wayward shell! Lightly beat the eggs and add the milk before seasoning well. 2. Now the possibilities and combinations of frittata fillings are endless so let’s start with a simple yet delicious idea. To the egg add the spinach (make sure it’s well washed), feta cheese and the roasted red pepper. I always have a jar of roasted red peppers handy as they are just as good in most recipes as freshly roasted peppers. For all you meat lovers you could add some diced chorizo which has been sauteed and then cooled. 3. Lightly oil a standard muffin tin with vegetable oil and pour in the egg mixture. The frittatas will rise when cooking so remember to leave space between the mixture and top of the tin. Place carefully into the oven and cook for 20 minutes until the egg has set. Gently remove the frittatas from the tin and enjoy! The frittatas are best served straight from the oven however if you want to take them for lunch, leave them out to fully cool before storing them in the fridge overnight. Chorizo, red pepper and cheese. Sundried tomato, mozzarella and basil. Get creative and let me know what your favourite fillings are.